The people that make up the ShirtSpace Team are a group of fun, unique people that know how to let loose. Even better, the folks of ShirtSpace live in a part of the country that is incredibly beautiful. Seriously, if you haven’t visited the Pacific Northwest- you’re missing out! Located less than 15 minutes south of ShirtSpace headquarters, Vancouver, WA is the home of multiple team members. In Vancouver (not Canada, in Washington state, not D.C.) people head outside in droves when the sun finally starts shining. For those unfamiliar with the Pacific Northwest, it rains alot. A LOT! Needless to say, when the sun starts shining, people get outside- ShirtSpace employees included! Mid-May marked the kickoff to Vancouver’s very own neighborhood kickball league. Why is that important? Because one of ShirtSpace’s very own team members plays on the Lincoln Shumway Misfits Fiend Club. The team is made up of people who live in the Lincoln and Shumway neighborhoods that are just north of downtown Vancouver. Each week the the Misfits face off against other teams from Vancouver’s downtown neighborhoods and do their very best to get the win. They’re not undefeated, but there’s still plenty of time to make a move for a spot in the championship game in August! In true ShirtSpace form, the Misfits are not only sponsored by ShirtSpace, but secured their game-winning jerseys from ShirtSpace too! When presented with the opportunity to provide game-winning gear and support community engagement through getting outside and playing kickball, it was a no-brainer for ShirtSpace. Little known fact- the team at ShirtSpace loves the outdoors! 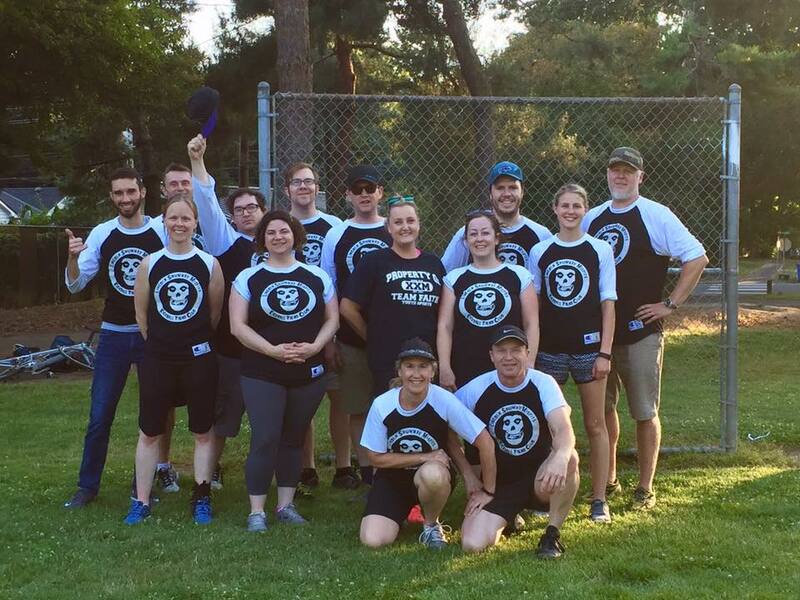 ShirtSpace prides itself in taking care of its employees, whether that’s supporting a community kickball league that a team member plays on or providing awesome benefits to each and every employee. They are proud of the community where their headquarters are located and jump at the opportunity to be engaged, make a difference, and have a positive impact. Most recently, the team at ShirtSpace identified several charities that they’d like to highlight and contribute to. Every employee gave feedback, and together, they thoughtfully selected charities that were particularly meaningful to the team. They decided to focus on local charities, but are also spreading the love to national and international charities too. The details will be rolled out soon and they are thrilled to start giving back in more ways than one.